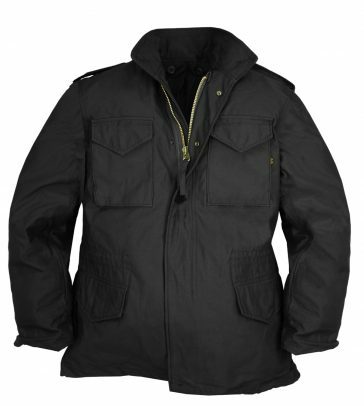 The M-65 is the classic U.S. military field coat. Manufactured to military specifications, the Alpha M-65 represents the best in military fashion while retaining its military elements for functional use. The M-65 was designed to be oversized, allowing soldiers to carry ammunition and all their gear – Alpha’s M-65 stays true to this oversize design. The M-65 field coat was first issued to the U.S. Armed Services in 1965 as a replacement for the M-51 field coat. The M-65 represented the culmination of field coat design, drawing on the technological developments of the M-43 and M-51 field coats used in WWII and Korea. The M-65 incorporated the bi-swing back and oversize design originally developed for the M-41 to provide more room for soldiers to carry everything from personal items to extra ammunition. 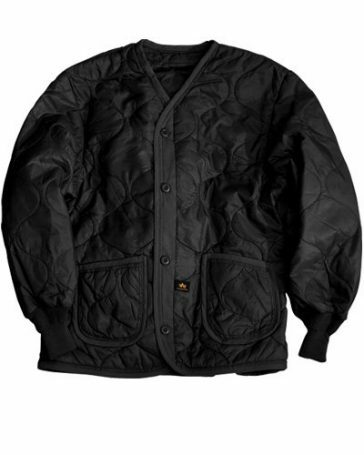 Nyco M-65 Wind Resistant 50% Cotton/50% Nylon Sateen Outer shell with 225 lbs. Breaking strength. Water repellent. The workhorse of American infantry outerwear for the past five decades. For versatility and maximum warmth, nothing beats the double-duty M-65 liner. Also known as the ALS/92 field jacket liner, this ripstop nylon shell with polyester lining is durable and best used underneath the M-65 jacket. 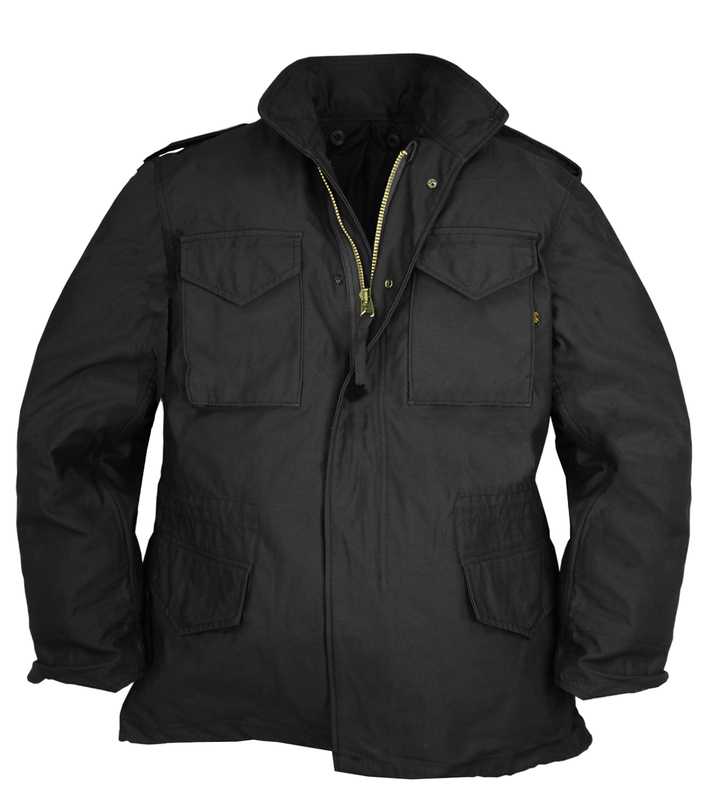 The knit cuffs make this army jacket liner toasty, and the fabric binding surrounding two front pockets and bottom hem ensures a sturdy build that will last for years. The ALS/92 Liner enhances the warmth of the M-65. Unlike other liners, it can also be reversed and worn separately as a lightweight jacket.